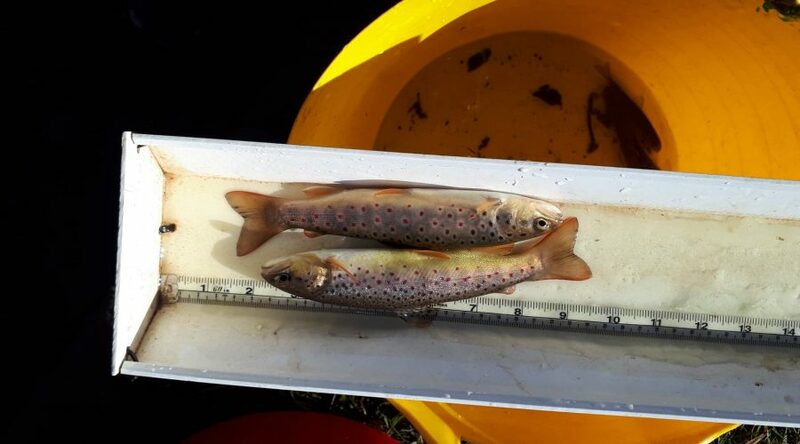 ART biologists rescued over 1000 fish from the very top of the River Ayr immediately downstream of Glenbuck Loch. The road is being straightened and contractors were asked to allow ART to remove any fish within the site before it was dewatered. 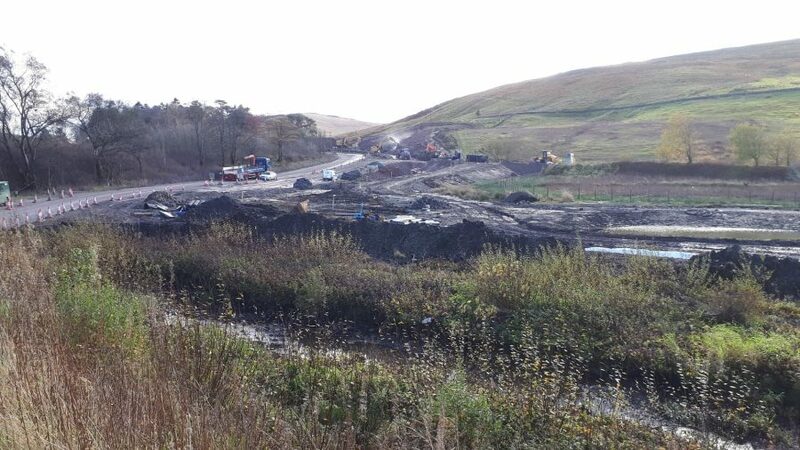 A new temporary bypass channel was prepared and the river is being diverted along this route until the new road crossing and culvert is installed. 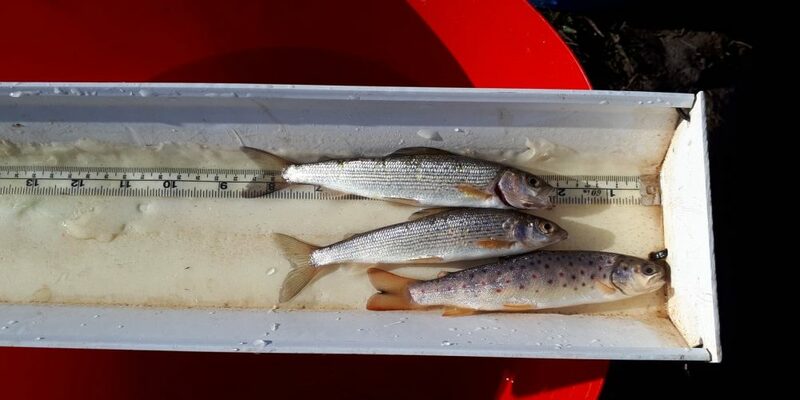 Two lovely juvenile grayling and a brown trout relocated from the site to a nearby location. ART didn’t expect that many fish species to be present due to the mine water pollution that arises upstream but as ever, the unexpected surprise of grayling within the site was very welcome. 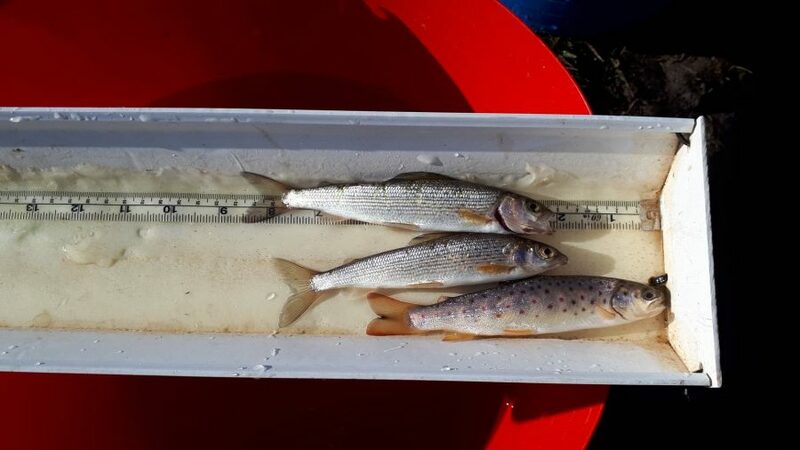 In total ART found and removed 3 salmon fry, half a dozen juvenile grayling, brown trout up to 10″, sticklebacks and of course the ubiquitous minnow that are pollution tolerant and were estimated to number over 1000. No eels or stone loach were found. 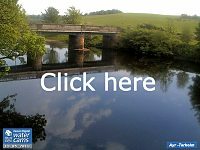 The absence of stone loach surprised ART staff as they are the most widespread and numerous species found in the Ayr catchment normally.